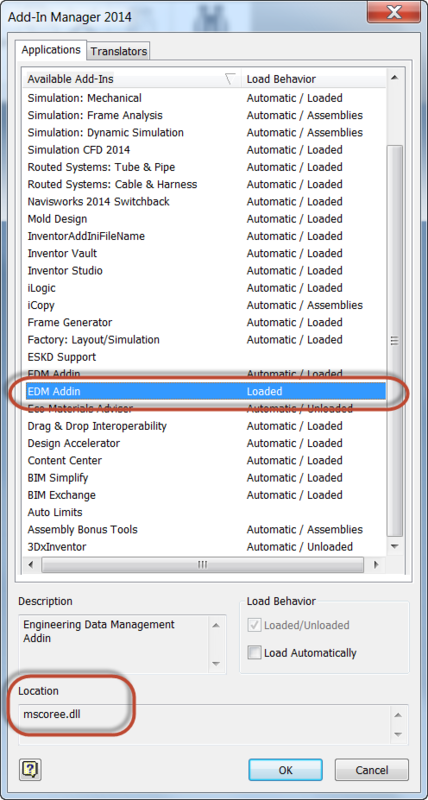 A little while ago I ran into an issue with my installation of Autodesk Inventor 2014 that, while not a showstopper, was a little annoying. Every time I started a new component. My Vault ribbon would disappear. 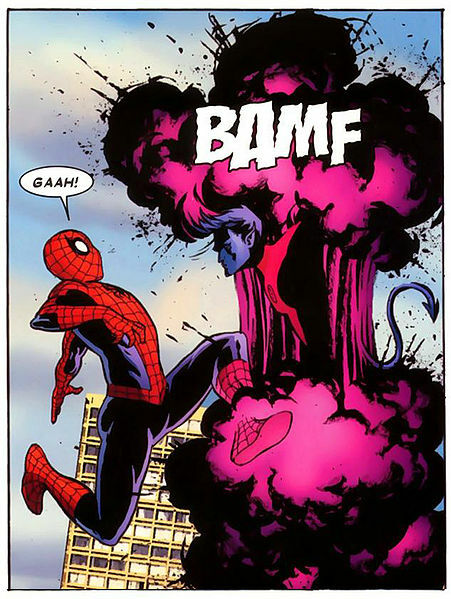 That's right, just like Nightcrawler from X-Men, it would Bamf! out of existence. I wasn't doing much work in Inventor 2014 at the time, so I would just unload and reload the addin to temporarily fix the issue. Finally, I got off my lazy duff and searched for a real solution. And out on the Autodesk Discussion Group. I found it! I went a head and moved on. It quickly began collecting dust in the mental archives. But low and behold, a comment on a previous blog brought this back into the light. So I decided to share it before it slipped into the archives yet again. 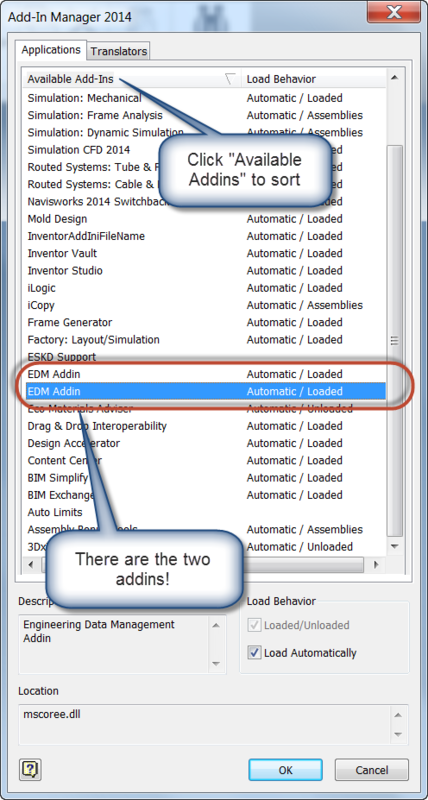 2) The EDM Addin is a hidden addin. 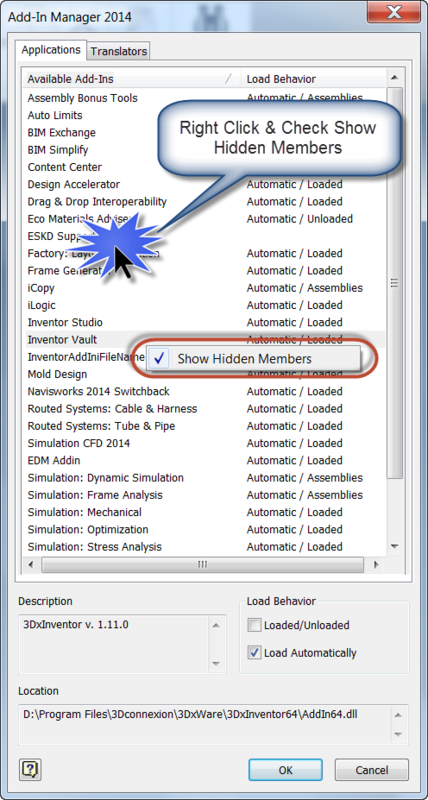 To display it, right click in the Available Addins window and choose Show Hidden Members. 3) Now check to see if there are two EDM Addins. Left clicking on the Available Addins will sort them and make it easier to find them. 4) Now that the two addins are located, find the one with the location mscoree.dll. Then uncheck "Load Automatically". 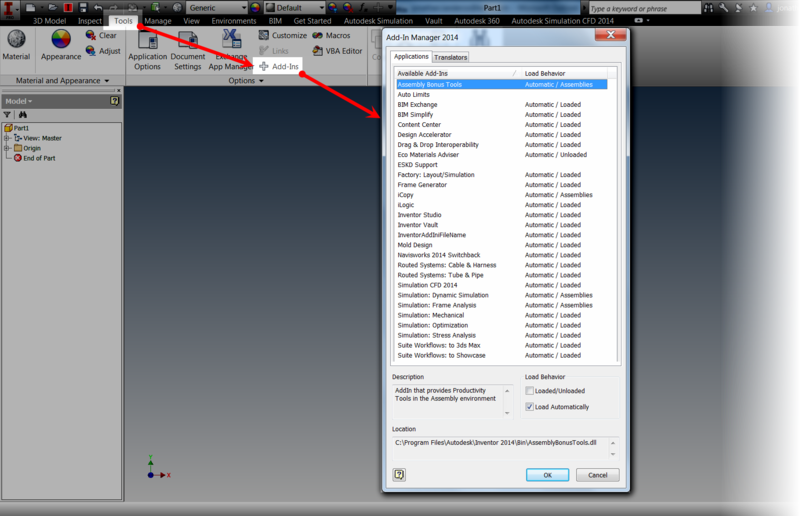 5) Close the dialog box by clicking "OK", and all is done. The next time Inventor opens, the Vault tab should appear just fine! While I would love to say that I found this solution on my own, and "stake my intellectual flag" on it. I did not. I found it off the Autodesk Discussion Group at the link HERE. Thanks to the users who shared what they have found, their assistance is far reaching indeed! You're welcome everyone! Glad to help. This is on odd one for sure! Thanks a lot, perfect !!! you da man or woman! Hello everyone, what if there's only one "EDM Addins"??? First, don't forget to right click and "Show Hidden Members:. 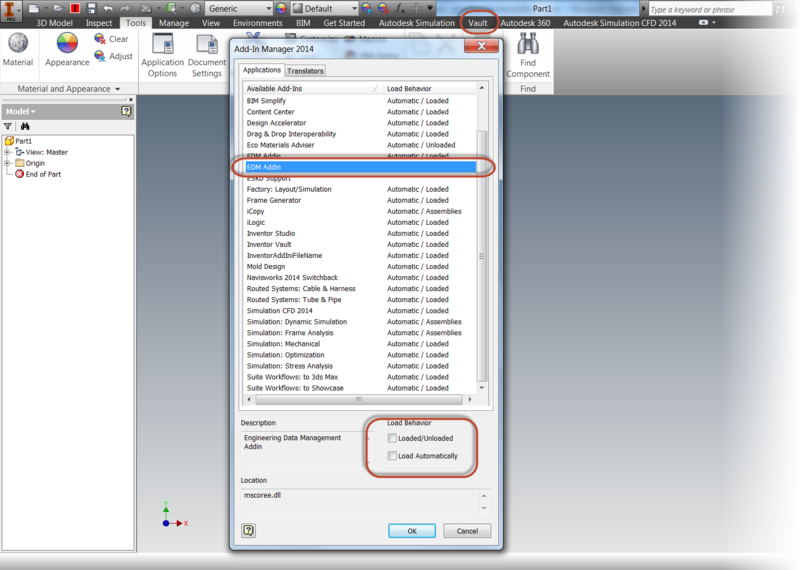 If that's not it, you may have to try Add/Remove Programs from the Windows Control Panel. It could be the add-in hasn't been installed. Duane, is the project your using set to be a Vault project? It sounds like it's currently a single user project. I wrote a post on this a little while ago.